I love this game! It’s my go to activity when I’m on break at work or just anytime I need something to occupy me while waiting in general. If you like the original physical board version, I would definitely recommend this digital version. 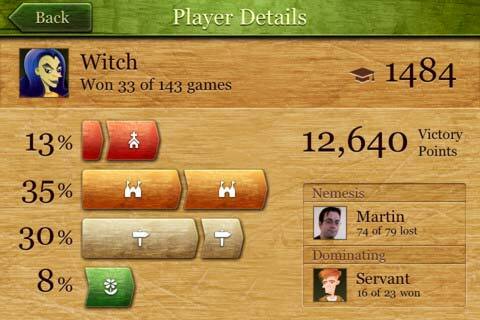 It’s easy to play (or learn if it’s your first time), the graphics are well done, and there are many ways to play. There are many different ways to play. You can play by yourself (solitaire version), but personally I don’t care for this version, although I must admit I’ve only given it a few tries. You can play against one or more computer players (in varying difficulties). You can play against others in person (just pass the phone, tablet, etc.) or you can play against others online. Expansions are also available (ranging from $0.99 to $1.99 each). Currently available are river, inns & cathedrals, traders & builders, princess & dragon, phantom, winter, and double base tile set. Winter is one of the newest “expansions” (along with double base tile set) and is the only one I had never played before. The Winter expansion comes with snow covered tiles and dirt roads and also includes the gingerbread man. The gingerbread man is slightly similar to the fairy in princess & dragon. The gingerbread man is used only in cities and is scored when either a city is completed or a new gingerbread tile comes into play. It is worth the number of tiles that make up a city. So if you have a city that is comprised of 5 tiles, then you would score 5 points for having the gingerbread man in your city. The gingerbread man is scored regardless of whether a city is complete or not. If a city is completed, the person who completes it chooses where the gingerbread man moves next. 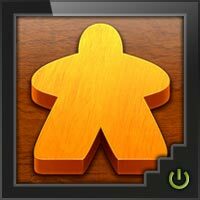 If a gingerbread tile comes into play, the person who plays the tile chooses where the gingerbread man moves next. These points are in addition to any points normally scored for the city. Overall, this is a great digital game with lots of replay value. I like playing it best on my tablet, but it’s great on a phone as well (zooming in and out is very easy). 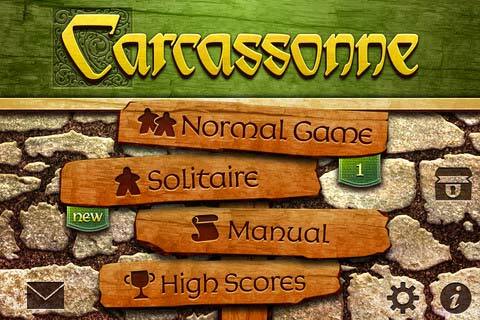 I have owned Carcassonne the board game and it is a great game, but constant updating of the scoring each turn and the sometime confusion with the farming meeple/tiles scoring at the end can get a bit tedious. The digital version however is so much simpler. For me it was the scoring that made this a big HIT with me. I find no sooner had I finished a game I was ready for another. The board version is great…… but for me this is better. Looking forward to trying it against others with the app. I love the solitaire version of the game. It is a nice addition to an already very fun game. 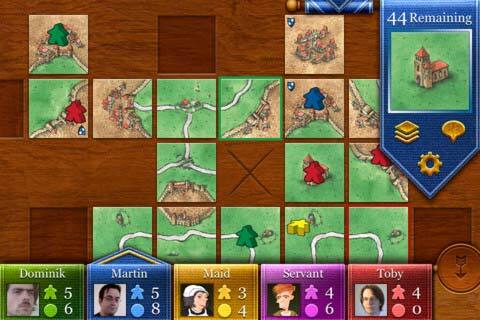 Add a Review for "Carcassonne (iOS)"